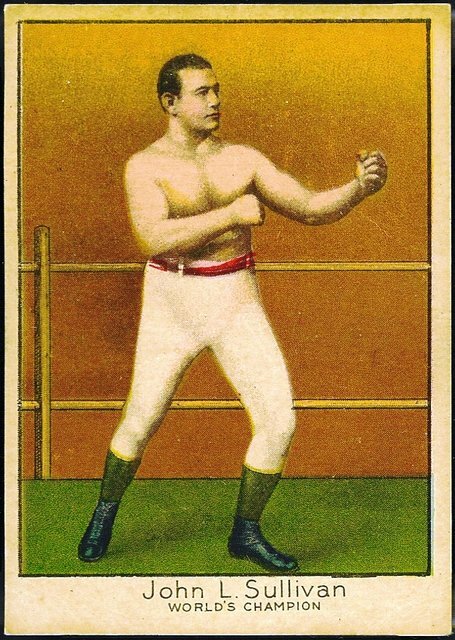 1910 Dixie Queen T223 John L. Sullivan. The same 50 cards in T220 were issued in a smaller format on coarser paper as Dixie Queen premiums. They are quite rare.